Part of our comprehensive care approach is considering a patient’s preferences for the appearance of their smile. 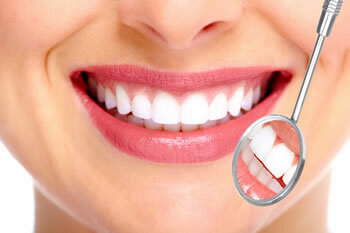 Kumeu Dental provides more cosmetic dental treatments than any other type of dental services. Many of these cases are extremely challenging, but our team of experts allows each patient to experience amazing results. Veneers are typically placed in sets of six or eight per arch, depending on how many teeth show when you smile. By placing veneers on the front side of these teeth, the entire appearance of your smile is transformed. Each veneer is shaded, shaped, and placed with the others to create a uniform straight, white, beautiful smile. Treatment is easy and in some cases there is no need for anesthesia or tooth preparation. Kumeu Dental will create a wax model of the proposed treatment so that you can see the results before you begin. Our high-quality dental laboratory then delivers the final veneers for us to place on your teeth in a single, comfortable visit. Crowns made of porcelain or composite material can be used to restore the function of teeth that have broken, experienced large decay, or had root canal therapy. They are also frequently used to replace large, worn fillings. Typically crowns are used on a single tooth, and are carefully matched by our specialists to blend in and create a natural appearance against your other teeth. Crowns cover the entire surface of the tooth above the gums, and extend the life of teeth in need of more extensive care. Find out more about crowns. Over time the foods and drinks that we consume can cause internal staining of our teeth. Red wine, tea, coffee and tobacco use cause the most significant tooth discolouration. Discolouration tends to make your teeth appear aged. Kumeu Dental provides both in-office laser whitening as well as at-home professional whitening kits. Patients typically experience improvement of several shades, and only have to maintain their white smile every few months. Our in-office whitening procedure lasts about an hour and provide instant whitening results. The take-home whitening involves a custom-made whitening tray and professional strength gel that is worn for an hour a day for two weeks to provide the most dramatic results. Correcting the alignment of your teeth not only improves function and dental health, but it dramatically affects the way your smile appears. Properly aligned teeth also prevent premature wear. Patients often choose cosmetic treatment options like Invisalign to improve their self-esteem and the way other people see them. Invisalign braces are made of clear alignment trays that are essentially invisible to other people when you talk or smile. Find out more about our Orthodontic Services.